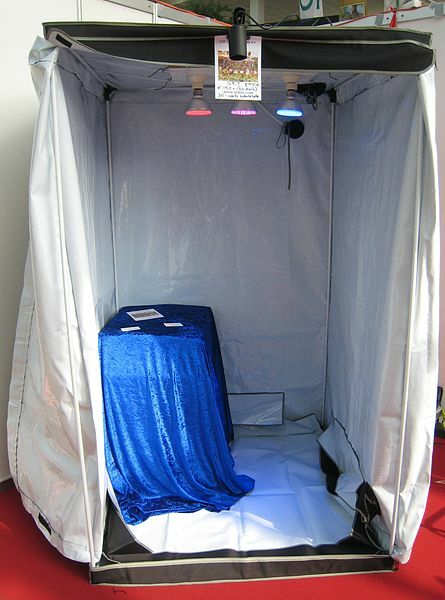 Regular readers of our blog will know that we use predominantly LED lighting in our grow space. Recently, though, we’ve been getting a lot of requests from people using HID lighting systems. They know that we’ve used them in the past, specifically double-ended lights like this one, and they have been asking us to write about them. So that’s what we are doing with this post. We did use HID systems previously, but we switched to LED. This is not because HID lighting doesn’t work. Quite the opposite, in fact. It works very well, but it does use a lot of power, mainly due to a lot of wasted light in spectra that plants don’t need. If you look at the spectral output of HPS bulbs or MH bulbs, you see a lot of output in areas that simply aren’t used by plants. Good LED systems avoid this and only provide the bandwidths of light that plants need. That’s why we switched, but if you are currently using HID lighting and you like it, there is no reason whatsoever to switch over. Keep using it and keep getting good results. At this point we would like to clear up all those abbreviations above, for those who are new to grow lighting. HID stands for high intensity discharge. There are two types of HID lights: MH and HPS. These stand for metal halide and high-pressure sodium. Generally, growers are best served using both types of bulbs, with MH bulbs being more suited for the vegging stage of plant growth, due to their strong blue spectrum light and HPS bulbs being suitable for the flowering stage, due to their red spectrum light. We actually never used the two types of bulbs in this way. We did not use one bulb for vegging and then switch it out when it came time to flower. Instead, we had twice the fixtures and used both bulbs at all times. We did this, because we were growing a number of different plants and at any given time, some of them were vegging and some were flowering and some were doing something entirely different. 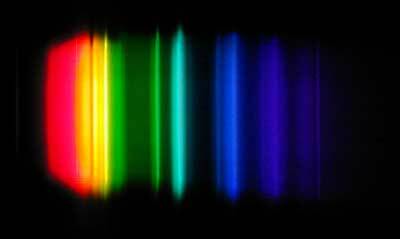 As a result, we wanted all spectra of lighting at all times. Obviously, we leaned more heavily toward the red spectrum, since that is better for the plants when flowering, but we always included blue MH bulbs as well. Additionally, we supplemented our grow with blue spectrum fluorescent bulbs. 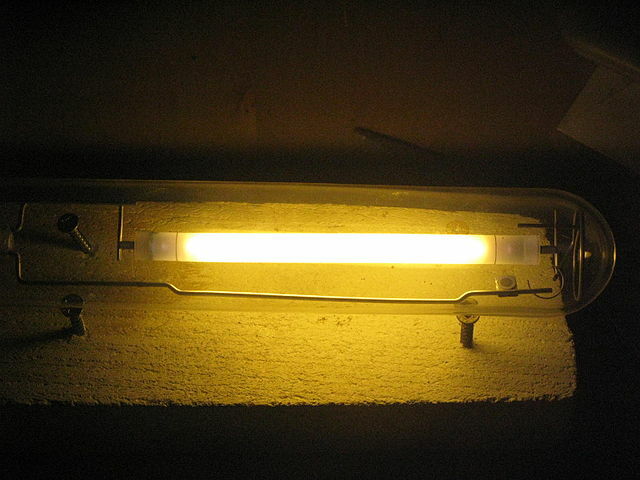 We used compact fluorescent lighting, also known as CFL. When it comes to reflectors, we started out with wing reflectors since they were cheap and they provided a good coverage. The problem is that all of the heat escapes into your garden and you really have to spend a lot of money in electricity and cooling. We eventually switched to contained reflectors. First, we used cool tubes, which were great. You can shoot cold air right over the bulb and get all that hot air out of the fixture before it ever escapes into your grow space. The main problem with cool tube reflectors is that the actual reflector part is very small, meaning you do not get a great coverage area. Our next step was to use a combination of cool tube hoods, which are like cool tubes but include a larger hood to give you more coverage and cool hoods, which don’t use a tube at all. Instead, they covered the entire opening of the hood with a glass covering that swings open when you want to change the bulb. Cool hoods give a great coverage area since they have a large hood. The main drawback here is that they are not cheap. So if you’re starting a new garden and you really want to use HPS lighting and MH lighting, we suggest you go with these hoods, if you have the money. In fact, we actually suggest you go with double ended reflectors so that you can use double ended bulbs. These give much more output for the same wattage and also provide a better spectrum for your plants. They last longer as well, meaning you won’t have to replace them as often. They’re just better all around. They are more expensive, but not that much. Basically, double ended bulbs are the future of HID lighting. Actually, that is not quite true since they are here already and have been for a while. But they are the next evolution and they are currently the best HID bulbs available. The main drawback here is that they are usually sold out. They are so popular and everyone is switching to them that all of the manufacturers have a hard time keeping up with demand. We will close this post with a little warning. If we were to start growing today, we would use LED to start, unless we had a very small grow operation, in which case would use fluorescent lighting. We would not even bother with HID lighting. We love it and we got great results from it in the past, but the truth is, it simply harder to set up and deal with all the heat. LED lights are just so much simpler to use and if you get good ones then you don’t even have to worry about choosing the right spectra and everything. It’s all programmed right into the lights and everything is automatic. Everything works. You can find HID lights here on ebay. What Happened To The Old Houseplants HQ? This post is for people who have been fans and/or customers of our site for a long time. It’s also for people who arrived here for a reason, hoping that they would find houseplants to buy (if you arrived here for the first time and were not expecting houseplant store, you can safely skip to the next post). The rest of you, however, probably arrived here today wondering: what happened? Where is the houseplant headquarter site I’m so used to? Well, we’re still here. We’re just different. We’ve decided to stop selling houseplants through our website. To be honest, we weren’t making much money anyway, since most people get their houseplants from real stores in their area. Not many people buy them online. Also, we simply did not enjoy our business model anymore. We felt that by just selling houseplants, we weren’t really making much of a contribution to the world. Sure, we were giving people the plants they were looking for, but that was it. It was basically retail sales, except we were selling a product we loved, at least. But liking the product we were selling was not enough. Instead, we thought we should help people. Naturally, we wanted to help people as it related to their houseplants, so we started to wrack our brains for ideas on how we could do that. What angle should we take? Once we hit on the right idea, we couldn’t believe it had taken us so long to think of it. For the past few years, we’ve been growing our own houseplants, as well as fruits and vegetables and herbs and many other kinds of plants, in our own indoor garden. Like many other people, we do not have space for an outdoor garden or a greenhouse, so we converted our small basement into a little garden. A closet or any other spare room would work for this as well, though. We bought pots and soils and nutrients and everything else we needed. 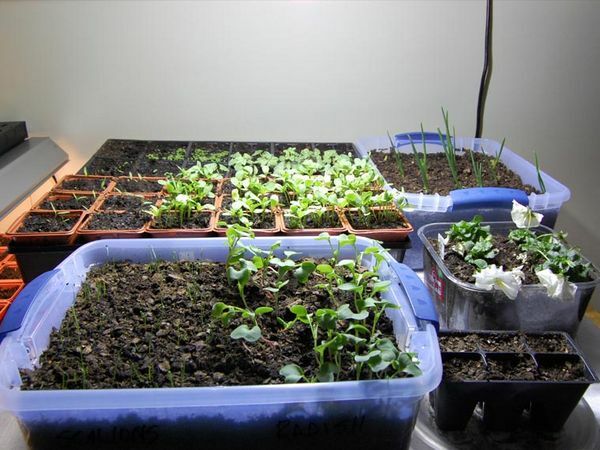 We started with cheap fluorescent light bulbs that we got from a local hardware store, but those are only good for very small gardens, so we soon switched to an HID lighting system. If you don’t know what that is, don’t worry about it. We’ll go into that in other posts. Suffice it to say that it works very well for growing plants, but it is expensive in terms of electricity costs and it gives off a lot of heat, which means you also need a cooling system. The cooling system costs more money and consumes more electricity, which costs even more money. We quickly realized that LED grow lights were the way to go. Sure, they cost a lot more upfront, but the savings in power costs and from not needing to replace the bulbs and not needing additional cooling equipment, more than make up for the initial outlay. In fact, after only a year, we were already saving money over our previous HID lighting system. Once we got used to the LED lights, they also grew so much better than our previous lights. Our houseplants are growing amazingly well in our little indoor garden and the same goes for the fruits and vegetables and herbs and everything else we are growing. And you can’t even imagine the feeling you get, watching your own plants grow in front of your very eyes! It is so much more rewarding than buying a houseplant from a store and just having it. Yes, we enjoyed all of our plants, even those bought from a store, but I have to say we love the ones we grew ourselves so much more. And, of course, we also really love all the fresh fruits and vegetables and herbs we get to eat straight from our indoor garden. No more worrying about any pesticides or other contaminants. We know everything we grow is organic and healthy and unbelievably delicious. Seriously, you can’t even begin to imagine how good these taste. I don’t think we can ever go back to buying groceries at a grocery store after enjoying the homegrown versions. They beat the pants off any farmer’s market veggies, too. Anyway, I just realized I’ve been rambling a bit; all I really wanted to do was let you guys know that we’re still here, but we’re different. If you’re looking for houseplants to buy, I’m sorry you have to look elsewhere. But if you think you might enjoy growing your own plants in your own little indoor garden, stick around. Check out the rest of our site and see if this might be something you would enjoy. If it is, we can definitely help you. Most of the answers will be on our website soon enough. Anything you can’t find here, please feel free to get in touch with us and we will be more than happy to help you get started growing your own houseplants indoors with your very own LED lights and your very own seeds. If you’re just looking to buy some houseplants, here is a good site for you.